d screaming from the Princess parade I think I cried in the queue for every.Single.Ride. I was left traumatised by merely the entrance to Pirates of the Caribbean and my parents probably asked themselves 100 times why they’d brought a 4 year old to a theme park and just ended up leaving me in the delightful parent swap queue (the world was safer back then) – whilst my brother and sister proudly modelled their ‘I Survived the Tower of Terror’ t-shirts – they were so big that I’m pretty sure they’ve only just grown into them like my Mum hoped. I have been back to Orlando since, when I was in my teens and my parents decided we were ‘too old’ for Disney, so headed only for the big rollercoasters. 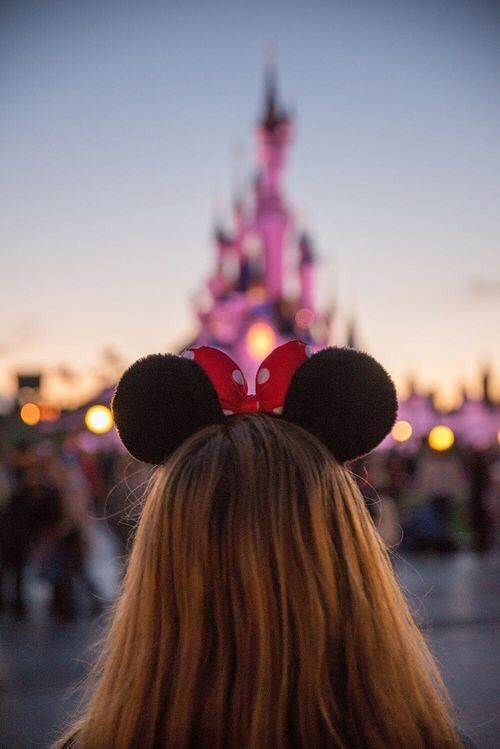 So my first time back in Disney Land, since the age of 4 is happening this weekend… And it’s lead me to wonder a few things… Am I too old for Disney now, and how will it be different though the eyes of an adult? 1) Will I be as mad about the Disney price tags as my Dad was? 2) Will the magic still be the same? I remember being inside the infamous Twister ride, screaming to leave – and feeling absolutely certain that there was a real life cow flying past my head. I’m wondering how all of the sets and themes will fare as an adult – will I be able to look past the mechanics and painted walls? 3) Will I still want to buy a lifetimes supply of Diney Pyjamas and mugs?How on earth am I going to be able to control myself in the gift shops. It was a much better time for me when my 3p piggy bank meant Mum and Dad were in control of my shopping habits… Let’s hope there aren’t any nice shops at all to visit. 4) Am I going to wish I had waited to go with my own children? Obviously I don’t have any of these yet, and it probably means I’ll have to go againnnn when I’m older (obviously gutted and fuming about this in equal measures). I wonder how different that makes things once again. Can someone please reassure me that being a parent makes you less elfish and that I won’t just spend the whole time gutted that I can’t go on any rides because my children are too small and that we ARE there for the children not for the rollercoasters? Please. 5) Is it going to be as perfect as I remember? Let’s be honest, I’m going to be like the child in the advert who can’t sleep at night. It’s only 3 sleeps now until we fly and I really cannot wait. Even if I now know that Twister isn’t an ACTUALLY real and that Snow White is probably just a Gap Year student in fancy dress I think my being there will galvanise such happy, fond memories with my family that it just can’t go wrong. Which leads me to conclude that I’m pretty certain… You’re NEVER too old for Disneyland!